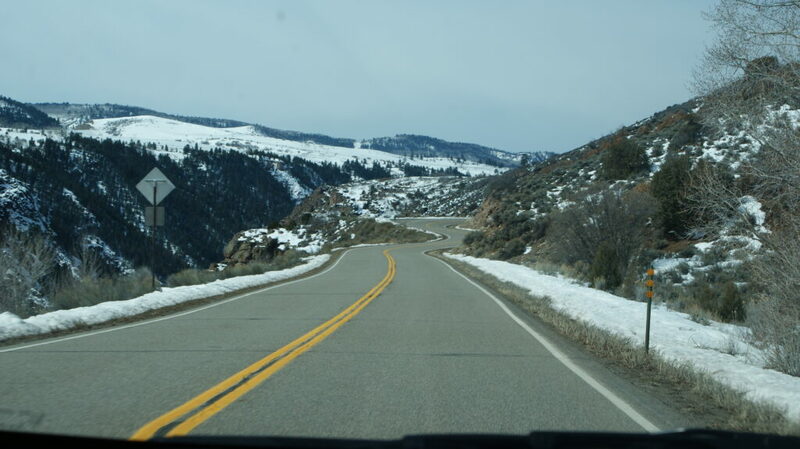 The road starts (or ends) at the Junction of Colorado 92 and US 50, at Lake Fork / Gunnison River. This twisty road is located at the northern side of the Black Canyon of the Gunnison National Forest, which is visible at some spots along the way. The interesting bits are between the junction at the Blue Mesa Reservoir and Crawford State Park. The stretch is roughly 40 miles long and will gain elevation (northbound 92). When I drove the road in March ’15, there was no traffic whatsoever. Seeing as it is fairly remote, speed limit enforcement seems unlikely at any given time.